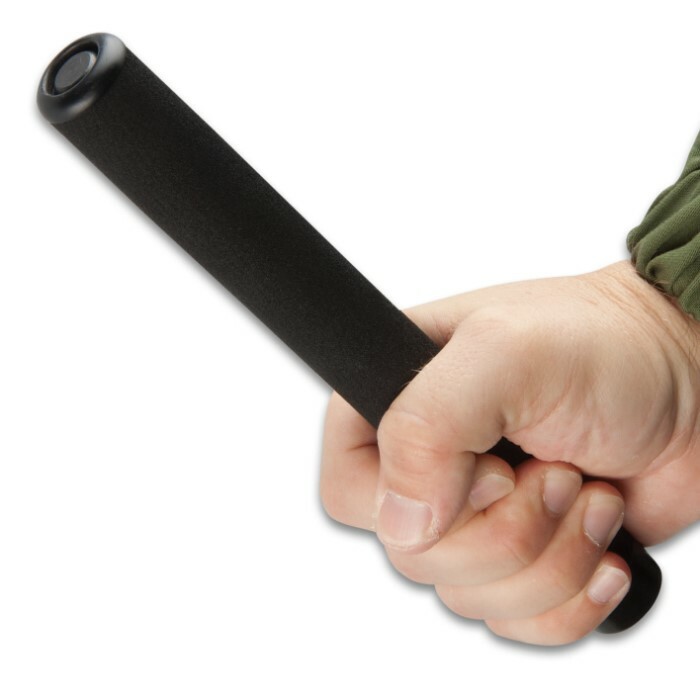 The Expandable Law Enforcement Baton, which is used by law enforcement around the world, is a great personal self-defense weapon to have on you, if you happen to be walking after dark. This high quality solid taper lock, steel baton features a new weight-forward design that allows for maximum kinetic energy transfer. It has a textured steel handle for a secure grip and is 26" when fully extended. 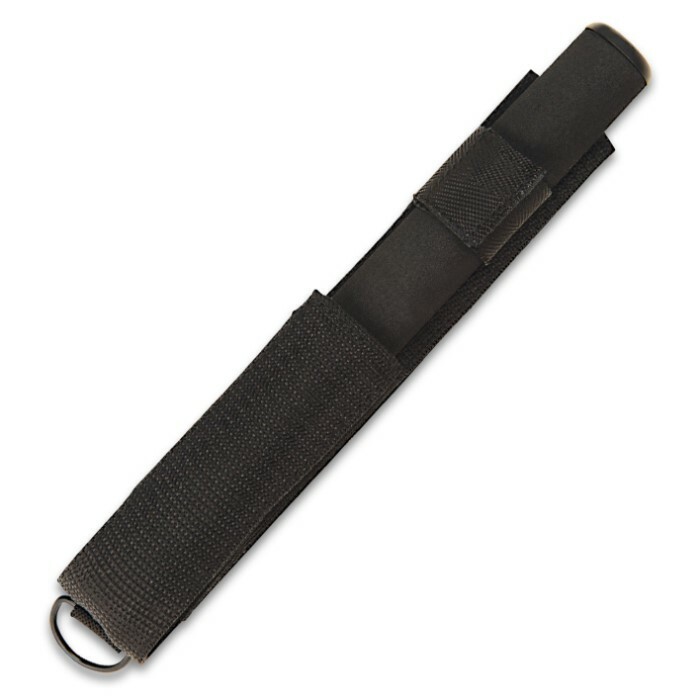 A heavy-duty nylon sheath is included. Recently bought 3 of these. Have been buying my batons (different lengths) here and had not been disappointed. 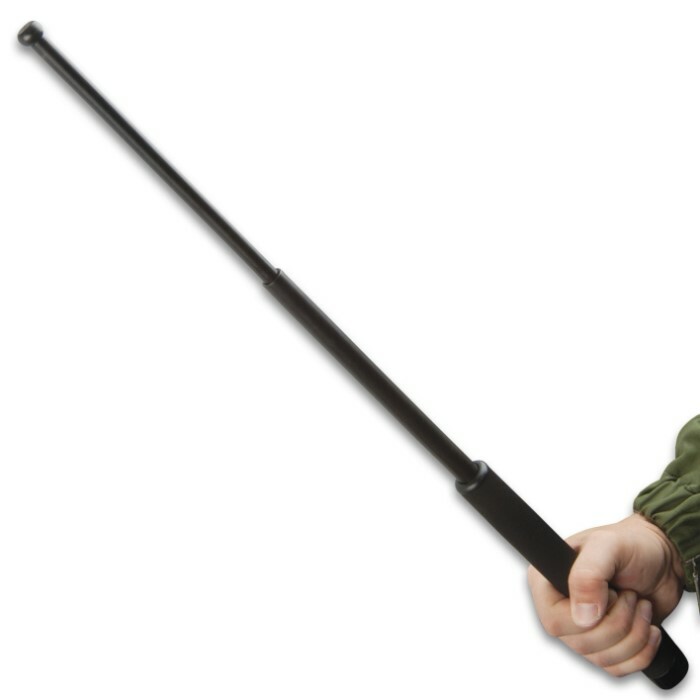 The batons are well built and you can be assured that it will not collapse easily once deployed. And as usual—-very fast shipping! I bought two of these - one for my wife, the other for myself. I love it! Easy to flick open in an emergency. My wife is having some issues closing hers, I usually have to do that for her, but the important part is she can open it if she needs it. Solid work. Would buy again. Bought two of these and will be buying more in the near future. Used dry lubricant to make closing them easier. They worked pretty good during training with multiple deployments. A great training tool at a great price. I gotta say I got more than I expected out of this and it is very nice. I plan to buy more of these when I can. It is heavy not light; weight 1.5 lbs. Good quality in my assessment. The sheath has belt loop, has a ring on opposite end to hang/hook. It will be a good item for travel anywhere on earth for self-defense. In fact buy 2 or more for you and love ones as possible. Take it with you to use when travel aboard or anywhere. I highly recommend it. The issue about sticky can be solved by put some oil between the joint and it will work better to snap it back in place. Any lubrication oil will work. Rotate the tube when you inject oil at the joint and it will work better eventually. I tap it back in place or with enough force you can twist it back in place. This baton is an excellent product. The one I was given as a gift, had either a faulty cap or bad treads on the grip tube. Within a rather short amount of time the back cap came flying off. it can still be used if someone want to carry it in the out position, or fabricate something to replace the cap. Not a bad product, just check it thoroughly, after each use, and be careful when closing this. No one can complain for the money on this item.. but if yours sticks in the out position, then just hammer it back down, unscrew the bottom, take it part and sand down the area where it sticks until it works better, that simple. @$10 each, I bought 3. Fine item for such a price. Another review mentions using this as a "Disarm and Damage" weapon, well these can do a lot more than disarm. Deployment isn't too easy, but not hard either. A few dozen extensions/retractions will 'break in' the baton and make continued deployment and retraction an easier process. They can bend somewhat easily if used against a hard object, which can interfere with retraction. My brother applied petroleum jelly to his for an excellent effect, though a little too easily deploy-able for my taste. If you want to, start with a very light coat. A certain sense of intimidation comes just from the extension. Quite viable as a deterrent as well, though honestly I just bought mine for fun & looks. Sheathe is of good quality in terms of material and make, but the design itself could've been improved around the velcro strap area. Still valued @ 5/5.